This product page is for Series 9 products only. 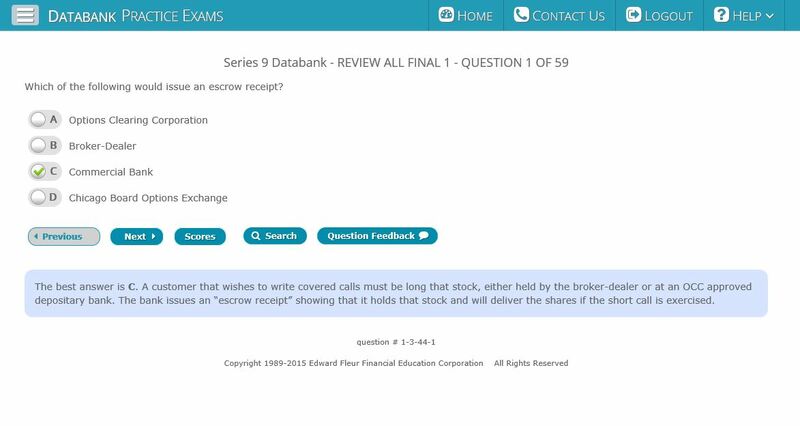 After each section of the text, simulated test questions with detailed explanations give the user immediate feedback on his level of understanding. Separate from the text book is an Options Finals book, containing 12 simulated Options Finals. 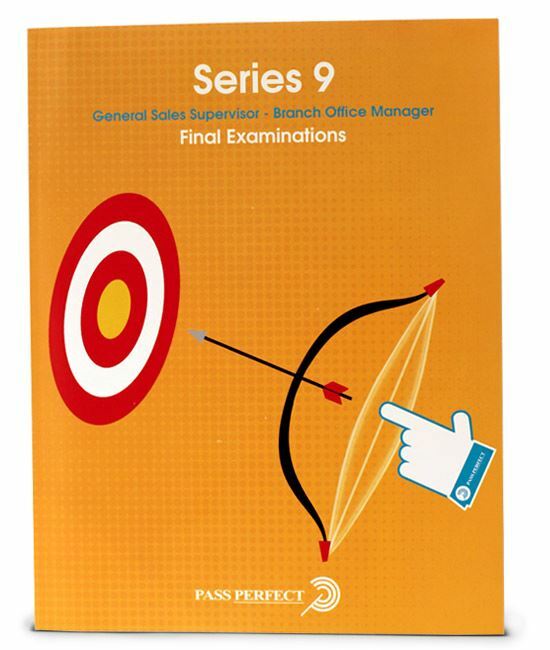 This includes the Quick 9 Study Guide which compresses the information in the full Series 9 text into a shorter summarized review. The Study Guide makes an excellent final review prior to taking the actual exam. 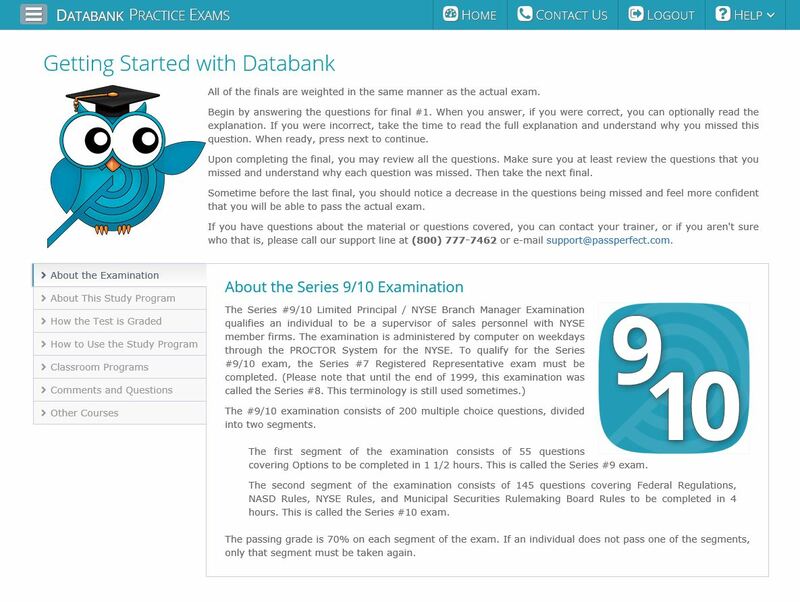 Designed to complement our Printed Materials, Series 9 DATABANK Practice Exams software is a convenient and effective method of testing a student's overall comprehension of the material. 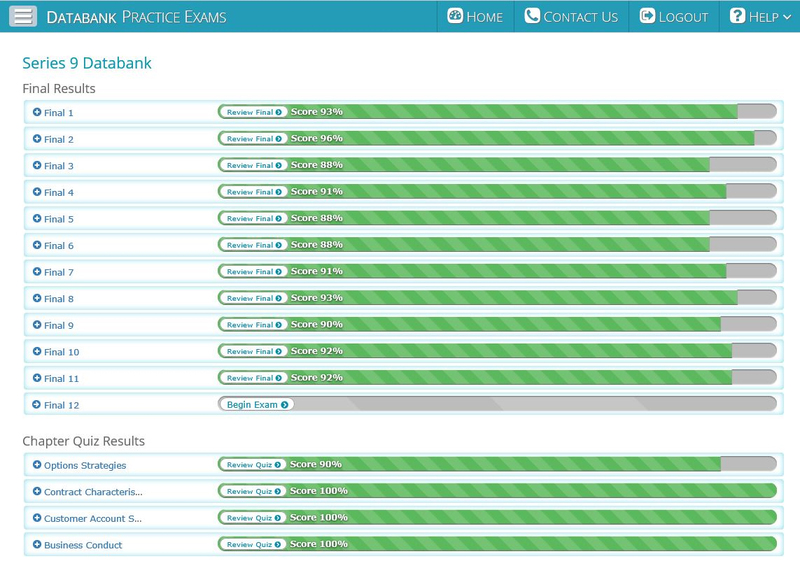 Using DATABANK Practice Exams software prepares the candidate for the actual test by presenting practice questions of similar complexity to that of the real exam. The program consists of tests drawn from a pool of over 600 questions for Series 9, covering the major topics found on the actual exams.